Can modern organisations be managed through hierarchy? Retention, careers, monetary incentives, employee autonomy … can modern day organisations still be managed through hierarchy? 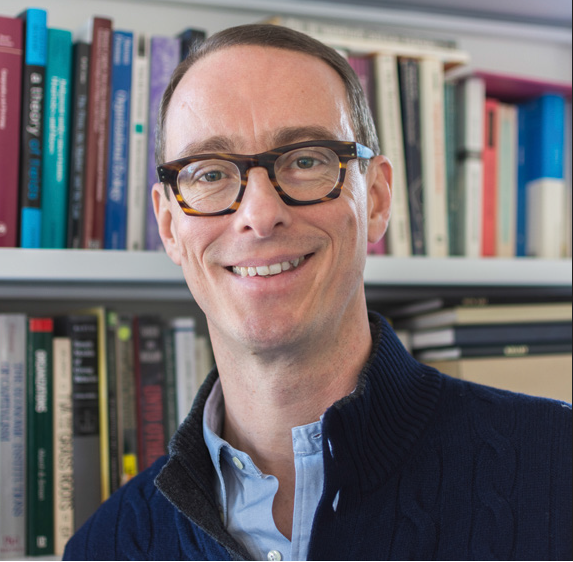 Filippo Carlo Wezel, Professor of Organisation and Management at the Usi Faculty of Economics and of Organisational Behaviour at Executive Master in Business Administration, seeks the answer to this question in his study of the Dutch East India Company in the 17th Century. The study provides several useful insights for today’s global and hyper-competitive firms. Professor Wezel, how did you come about the idea of studying the case of the Dutch East India Company? How is it relevant in today’s context? «The case of the Vereenigde Oostindische Compagnie (VOC, the Dutch trading company that dominated the trade of spices and other goods in the 17th and 18th centuries) attracted my attention for a number of reasons, ranging from intellectual to personal. Historically, the period in which the VOC operated represents one of the fundamental eras of economic development worldwide, the dawn of capitalism, marked– among other things– by the creation of the first stock exchange and by the emergence of global trading. Incidentally, it has been calculated that at the height of the Tulipmania in 1637, the VOC was worth $7.9 trillion, more than the combined value of 20 of the world’s most important companies today. I saw the opportunity of studying issues of retention and growth of human capital in a context that was rather unique. The VOC represents one of the most successful transnational organisations that, back then, faced a challenge that is common among current- day global organisations: the management of a nationally diverse and physically remote workforce. This opened up a series of managerial and agency problems. Managing a nationally diverse team is not easy, because different values and languages contribute to hinder the efficient functioning of groups and task-related performance. Thus, the VOC case is very telling about the dynamics that many modern organisations currently experience. A sea vessel is also hierarchically organized and also a sort of “laboratory” because its workforce is physically confined. At the same time, a vessel was exposed to the uncertainty of an entrepreneurial journey and to various unpredictable threats. The encountering with the VOC data happened during my previous faculty role at Tilburg University in The Netherlands. When I visited the National Archives in The Hague, I immediately realised the rich historical materials available about the VOC. That was indeed what triggered my attention and my curiosity, together with my yearning for novelty, eventually leading me to discover and use the data set on which my research is based». 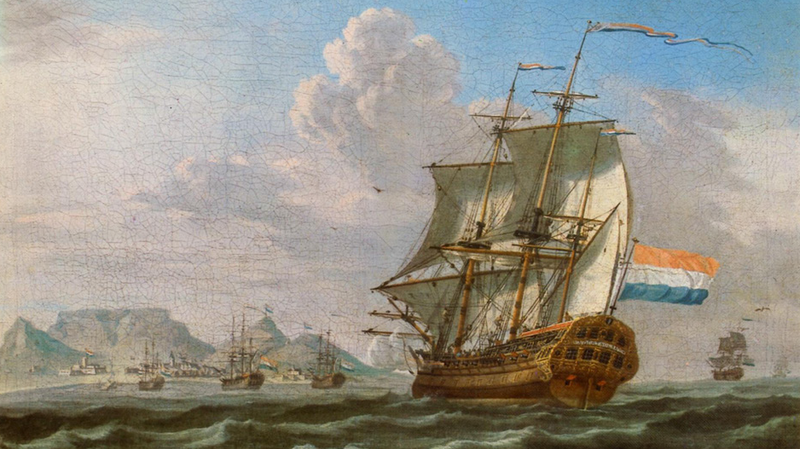 What are the main learnings from the VOC case and their relevance in today’s context? «My work underlines three eras of the VOC in terms of managing employees. The first one is marked by coercion and perhaps the least relevant for organisations nowadays, especially when you consider that coercion was synonymous of physical violence, leading seafarers to desert out of desperation. a system that remained hierarchical, nevertheless. Professionalism of the crew was boosted via the opening of schools for training officers and the change in job titles to reflect a closer relationship to the navy from where they hoped to attract reliable captains. The last period of the VOC was the one in which hierarchical control was toned down and autonomy via private trading further endorsed. The analysis of these mechanisms of management of the employees provides a number of useful insights for modern-day organisations. The second period, for instance, employee retention rates was improved via means of hierarchical control as employees were more likely to stay ‘put’ in their jobs because they saw the opportunity to grow professionally and also extend their professional development to different domains (in this case private trading). This sounds like good news for today’s firms, because it says that hierarchy and professionalism, when combined to autonomy, contribute to increase the loyalty of the employees. From the last period, which is indeed the most entrepreneurial of the three, I have learned that when hierarchy becomes flatter, the main mechanism of retention of employees is social in nature as it is a rich relationship among employees and their homogeneity in values that ultimately improves retention. The lesson that can be transposed to firms that adopt flatter structures and look for ways of retaining staff beyond promotion. These firms should look at cultural homogeneity, meaning employees or groups of employees that originate from similar locations or share similar education. Alternatively, they should develop thick relationships among employees by means of social activities or through rich onboarding activities ». Is hierarchy still required in organisations today? «Modern organisations are inspired by companies like Google, a firm in which autonomy and entrepreneurship are coupled with thick relationships among employees. Those relationships are sustained by the “gamification of employment”. If we draw a parallel, Google makes use of some of lessons learned from my study of the VOC. Many organisations have tried to imitate Google. In most of the cases, though hierarchy is still there. In general, I can say that some form of hierarchy is fundamental and even required to the effective functioning of organisations. Organisations today can effectively function with lower levels and intensity of hierarchical control than before but hierarchy remains there, nonetheless. “The Conversational Firm”, a book authored by a colleague at MIT, witnesses these claims. That book presents a real-life case study of a company that attempts to design a completely flat organisation with no hierarchy. It starts with great excitement of employees, but it ends with them begging for hierarchical direction. The downside of no hierarchy and minimal job specialization is in fact the difficulty of managing undefined and ever changing tasks, under flows of information that are clearly beyond the control and the capacity of human beings. Hierarchy, specialization, and some degree of routinized work procedures remain relevant to grant clarity and attentional focus to the employees». How can companies do better in terms of incentives to improve their overall performance, in the wake of the financial and economic crises of the current century? «All the effects that I have observed in my data and described so far have been obtained by holding constant the pay of each seafarer. The research in management and organisation tells us that what drives the commitment and the identification, two strong drivers of retention, is the sense of progress, learning and development of an employee, both as professionals and as human beings. The problem though is where the locus of this progress lies. We can put it external to the employees and rely, for instance, on financial bonuses or any other type of extrinsic reward. Or we can put it intrinsically, by focusing on needs and the skills of each individual employee. Intrinsic motivation is more effective for retention than extrinsic: while the latter produces behaviours that climb around the target but vanish after the objective is reached. Intrinsic motivation instead grants a more reliable engagement from the employees. The challenge for modern organisations is to know their employees at best, together with their needs and with what elicits a sense of meaningful progress in them. This would be a stronger driving force of retention than mere financial rewards». Bureaucracy is on the rise in many sectors of economic and social activity. How can we avoid being overwhelmed by the relentless rolling of red tape? «Bureaucracy is seen today as hindering organisational and personal development, as creating complexities, but it might be a virtuous characteristic of organisations. In fact, rules and formal processes grant transparency, enable the actions of employees and the accomplishment of tasks and goals. Net of various aberrations observed in many firms today, transparent processes and regulation might be very useful to firms. That is what is recognized as “Enabling Bureaucracy”. Consider for instance promotion decisions. In that case, the existence of transparent criteria and procedures of evaluation, and of a fair distribution of rewards sustain the loyalty of the employees. The accomplishment of procedural and distributive justice incentivize valuable employees to move forward, allow firms to signal to other employees the qualities that are needed to progress in their careers, and also what is appreciated and strategically valuable for the firm. When looked from this perspective, bureaucracy is just a matter of professionalism, hierarchical guidance, and transparent rules and career prospects. Are we sure that these characteristics are useless for today’s global firms?». Will your academic curiosity and yearning for novelty bring you to explore these topics even further, perhaps in a new study? «Several other interesting questions can be addressed with the VOC data. For instance, it can be explored how the performance of a vessel (i.e., the timing to reach destination) is affected by the variety of nationalities of the crew and the extent to which promotion rates are influenced by processes of homophilous reproduction on board. I am currently pursuing these questions with the aim of moving forward our understanding of the dos and don’ts of national diversity in working groups, a topic clearly central to the modern multinational firm».